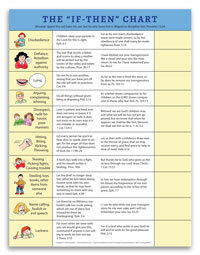 This chart arms parents with Scripture for working with the easily distracted or "less than diligent" child. 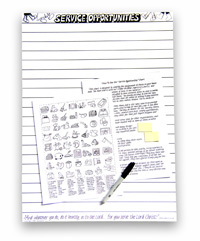 The chart covers every area of laziness we could think of, plus a Bible verse for each problem, for easy reference when they’re driving you crazy! 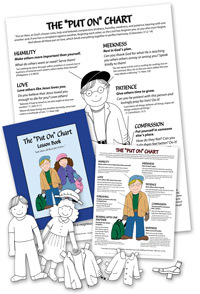 Take your child to the chart, identify his slothful action or attitude, read what God says about it, and pray for His strength to obey. Scripture quotations are taken from the King James version. 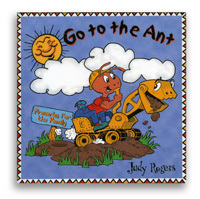 We have the "Go to the Ant" chart posted in our hall. Friends recently spent a week here taking care of our kids and asked where they could get one because they referred to it so often. I am excited to be ordering a copy for them along with the "Brother Offended Checklist." 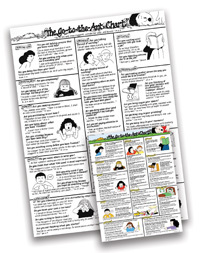 Great resources to teach your kids the power of scripture in our daily lives. I have appreciated the sample downloads in the past . The word of God is great backup. 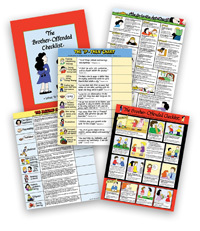 And these are a great ready reference. We have found this to be easily incorporated in a painless manner by posting the chart on the wall near our dining room table. Each day at mealtime, a child reads one of the verses. We read the same verse at each meal during that day; and talk about what it means. Sometimes we give examples of what that would look like in our family. The kids have a lot of fun getting to the the reader of the day. This chart is a trusted friend!! There has rarely been a time when any one of our children were struggleing with a weakness and we couldn't find the issue/verse/answer on this chart!! We have five children (18 years to 9 years) and through the years this chart has helped us weed out the unwanted seeds of selfishness and laziness that we found growing in the hearts our young children (and often even our own). Thanks Doorposts!